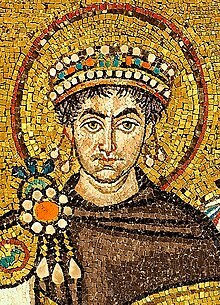 The Corpus Juris (or Iuris) Civilis ("Bouk o Ceevil Law") is the modren name for a collection o fundamental warks in jurisprudence, issued frae 529 tae 534 bi order o Justinian I, Eastern Roman Emperor. It is an aa whiles referred tae as the Code o Justinian, awtho this name belangs mair properly tae the pairt teetled Codex Justinianus. This page wis last eeditit on 5 Apryle 2017, at 02:07.